San Luis Obispo County Sheriff says that the man who escaped from San Quentin State Prison was has been taken into custody Saturday afternoon in Paso Robles. Marianne Favro reports. San Luis Obispo County Sheriff says that the man who escaped from San Quentin State Prison was has been taken into custody Saturday afternoon in Paso Robles. 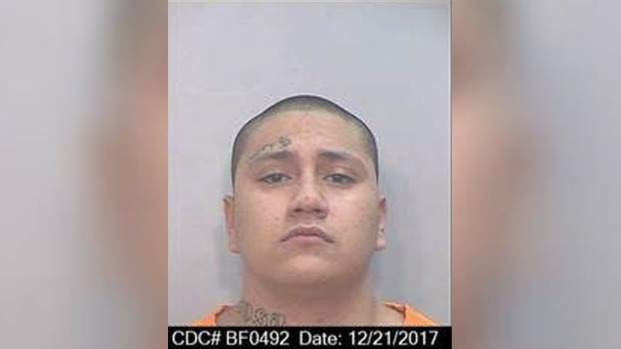 A San Quentin inmate, Shalom Mendoza, 21, was last accounted for at the prison Wednesday night before walking away from a prison work crew, according to prison officials. Mendoza was also spotted in other northern San Luis Obispo County locations before he was caught at a Taco Bell in Paso Robles, the sheriff said. 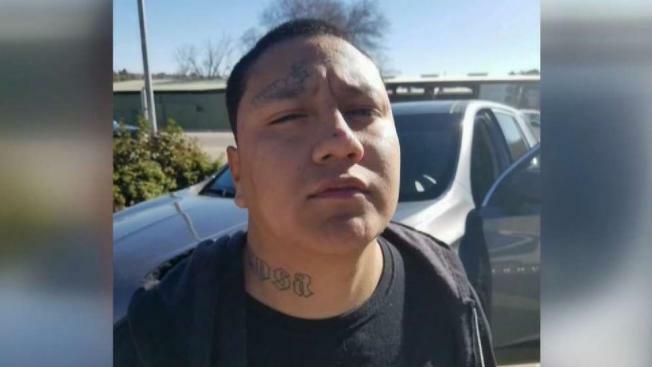 A witness inside the Taco Bell told NBC-affiliate KSBY that she recognized Mendoza from the news because of his tattoo. She said she was getting ready to call the police when a task force unit came in and told the suspect to put his hands up. "Taco Bell had no idea that they had an escaped inmate inside," the witness said. "There were children in the Taco Bell and everything." California Department of Corrections and Rehabilitation officials said Mendoza was taken into custody around 12:30 p.m. Saturday without incident after a civilian contacted agents. Mendoza was then transported to Salinas Valley State Prison. Investigators believe Mendoza was heading south towards the Los Angeles area, according to CDCR. Mendoza was reportedly seen at a Dollar Store in San Miguel about 4:20 p.m. on Friday, corrections officials said. San Rafael police said that they believe that Mendoza was the same person who carjacked a woman's vehicle on Wednesday. A vehicle matching the stolen vehicle description was found abandoned off the 101 Freeway north of Paso Robles on Friday, the CDCR said. The suspect allegedly motioned to the victim that he had a weapon under his shirt and told her he would kill her if she didn't surrender the vehicle, a Toyota RAV4, police said. The victim gave the suspect her vehicle and he fled. She was uninjured. Another inmate also went missing from a nearby state prison on Saturday, Dec. 22, according to California Department of Corrections and Rehabilitation. Justin Franks, 27, escaped from the minimum-support facility at Folson State Prison during an inmate count. He was sentence for first-degree burglary and scheduled to be released in June 2019. Franks is a white male of light complexion, 5 feet 10 inches tall, weighs 143 pounds and has brown eyes and short black hair, officials said. 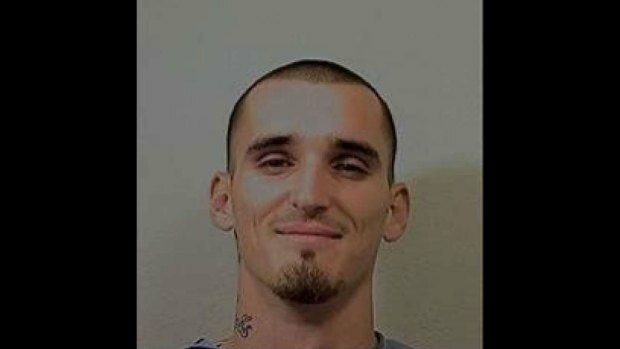 Justin Franks, 27, escaped from Folsom State Prison on Dec. 22.